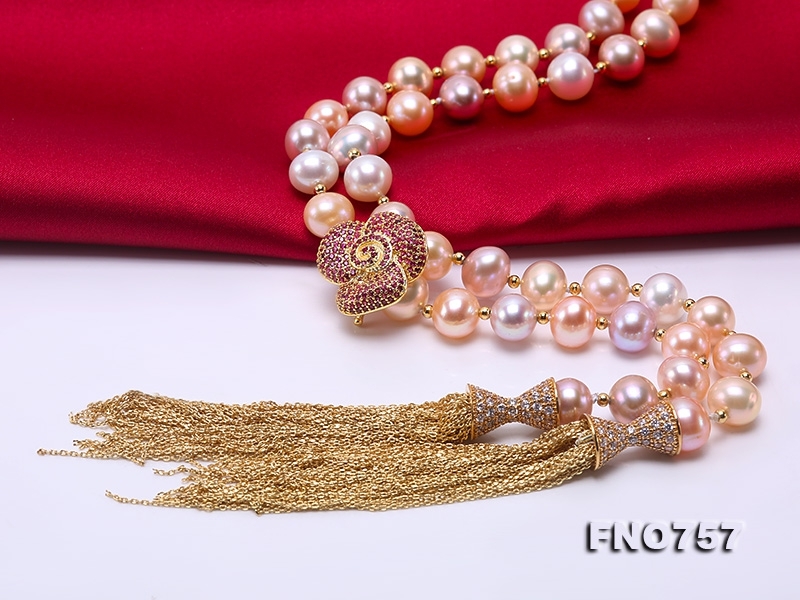 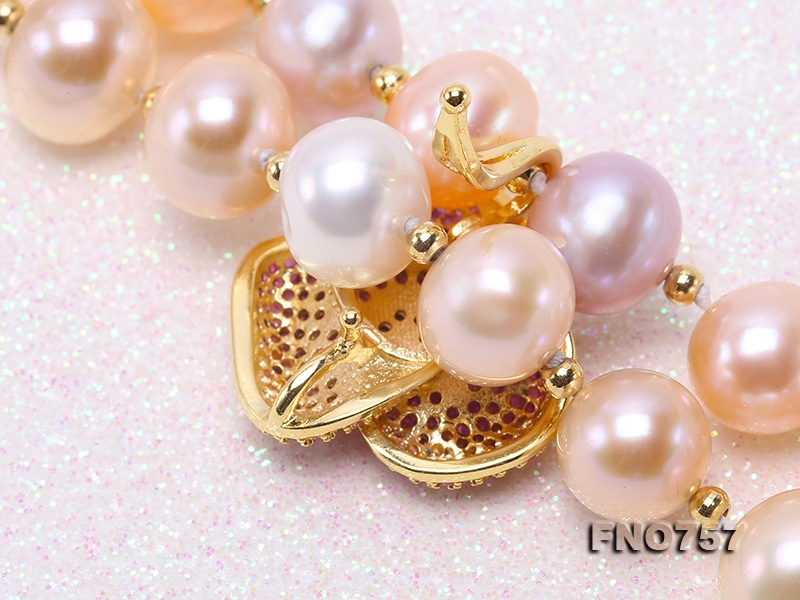 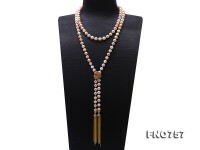 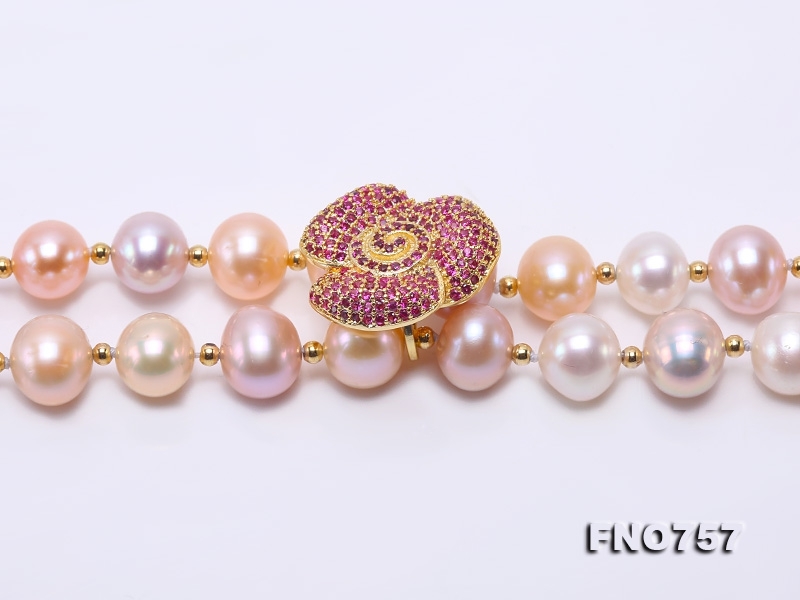 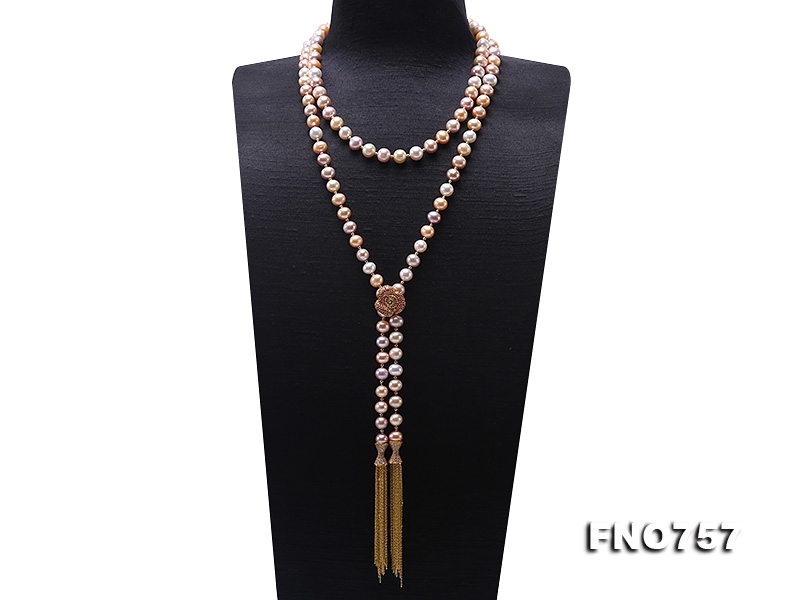 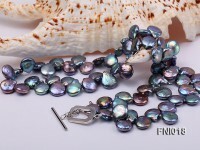 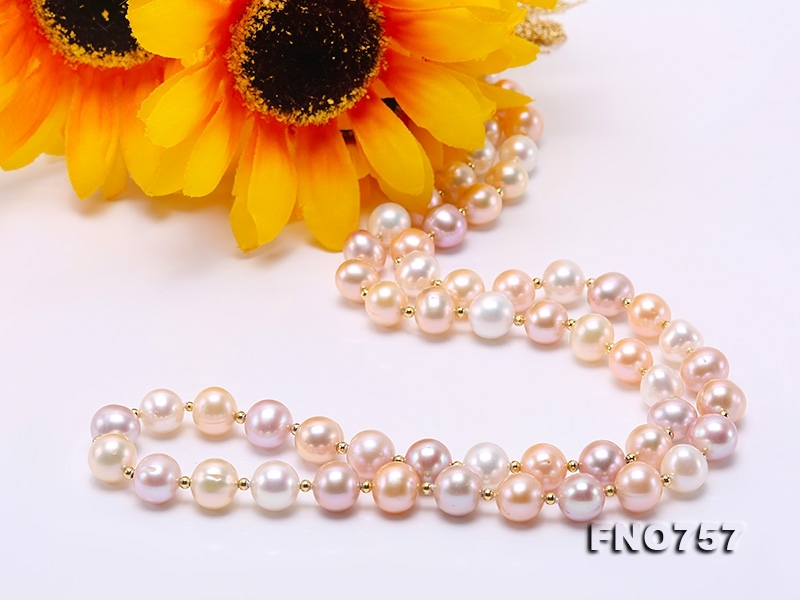 Elegant long pearl necklace, made with 9-9.5mm high-quality multi-color(white, salmon, lavender) round freshwater pearls, alternated with shiny gilded metal balls. 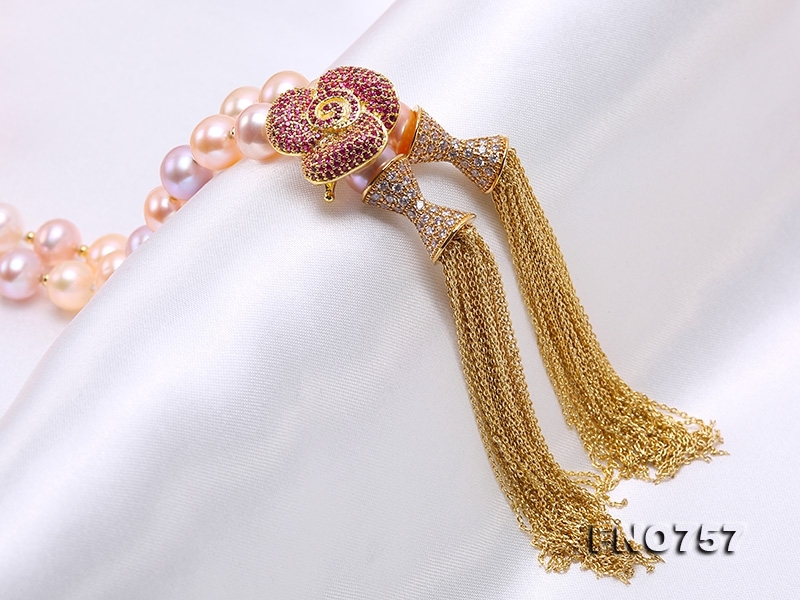 Two golden tassel are hung at the ends by delicate zircon-inlaid accessories. 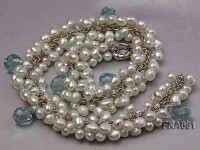 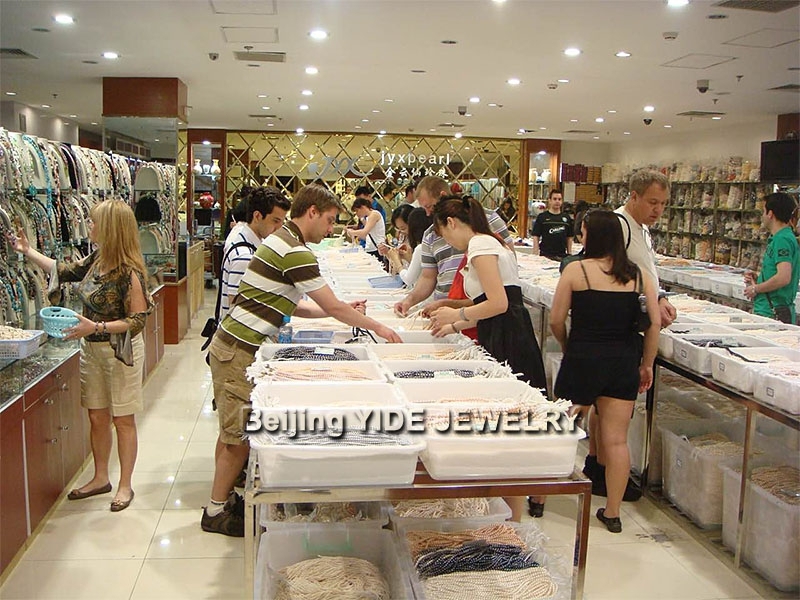 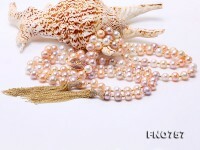 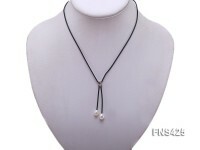 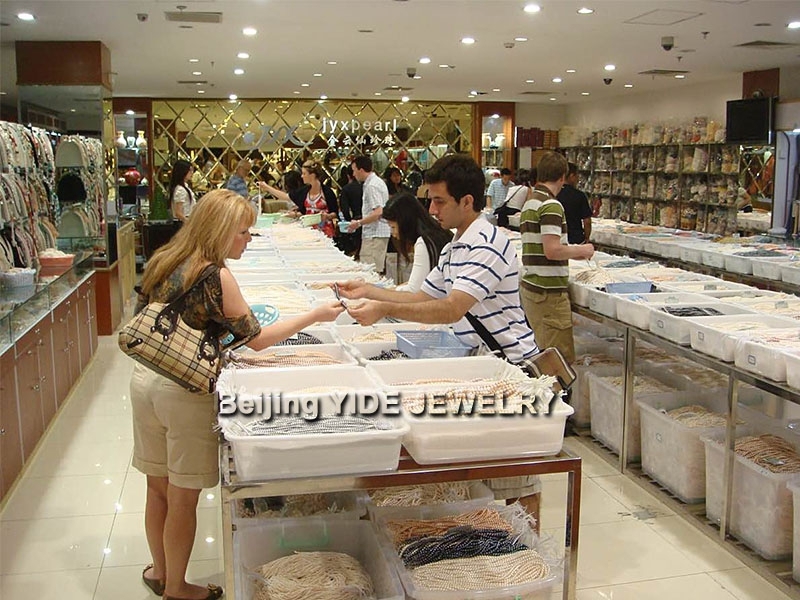 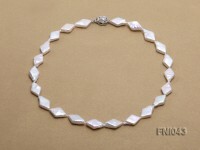 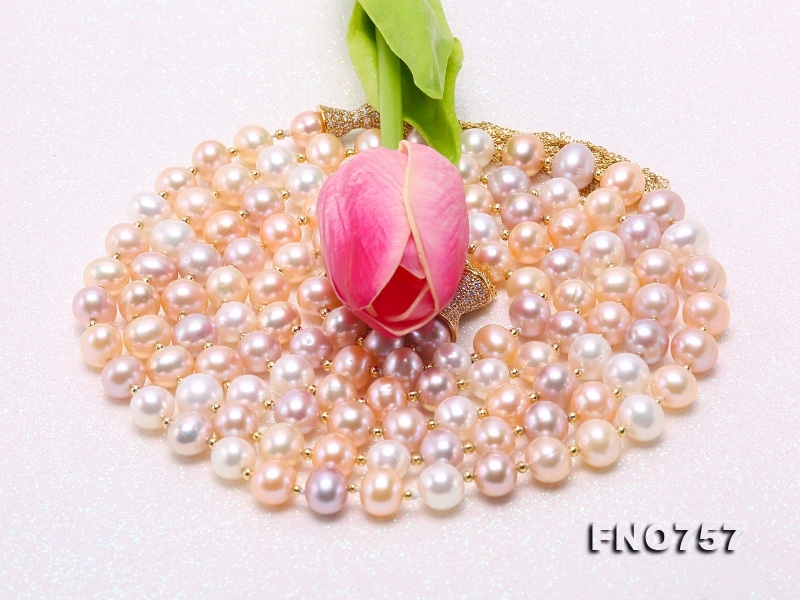 The length of the pearl necklace can be adjusted by changing the place of the clip. 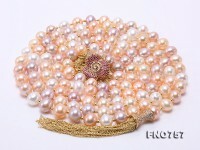 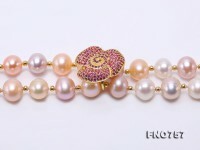 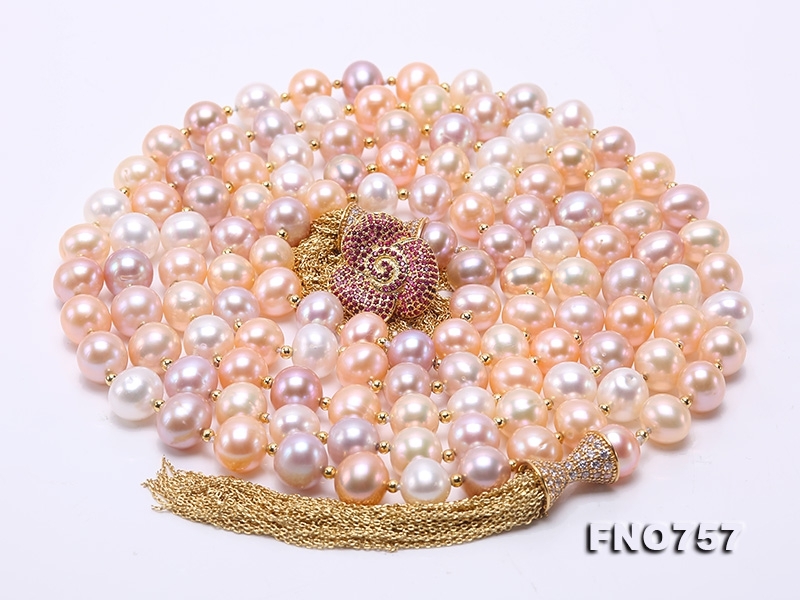 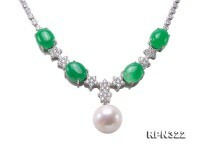 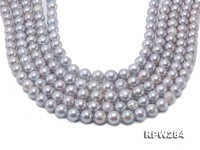 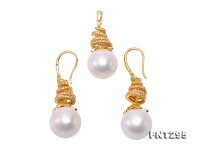 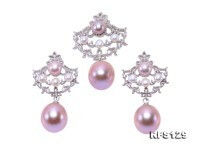 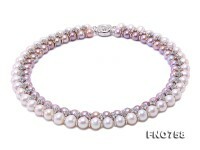 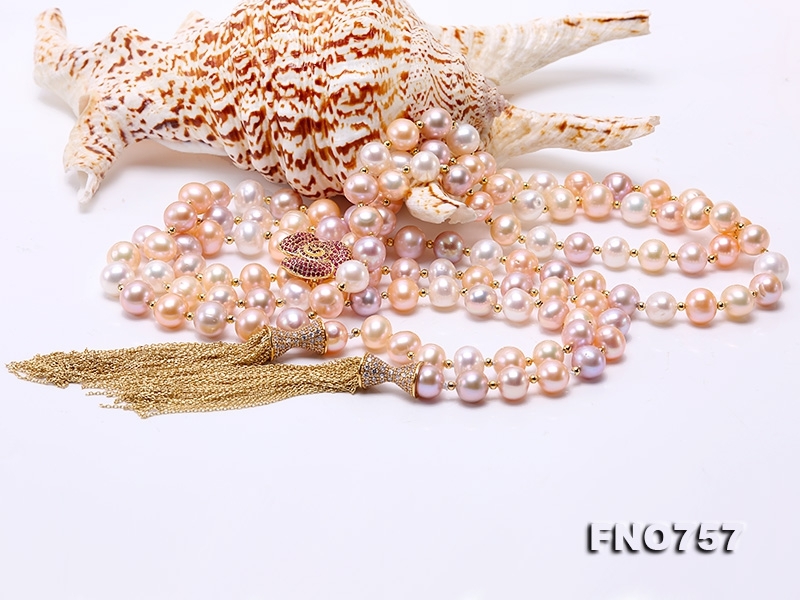 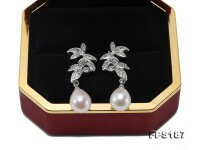 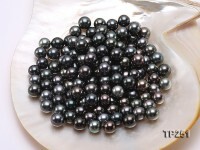 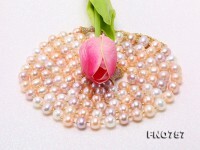 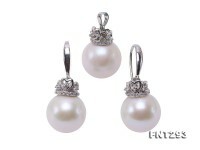 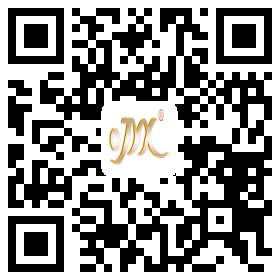 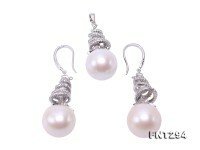 The pearls are very round, smooth and lustrous. 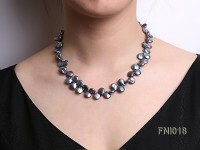 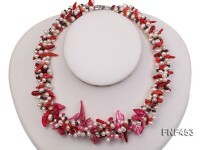 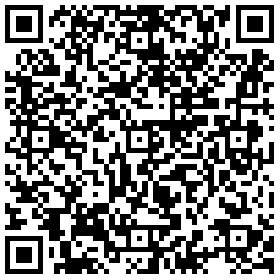 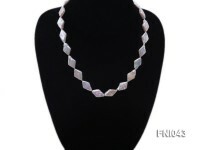 It is a perfect necklace either on sweaters, blouses, or dresses.